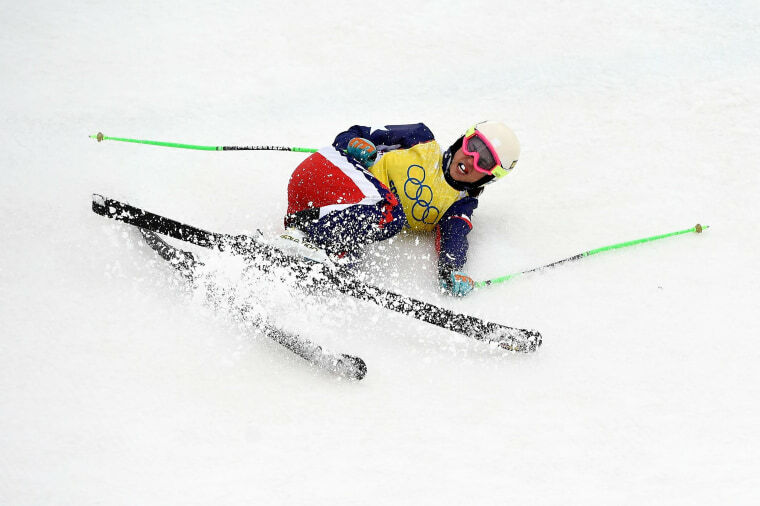 Stephanie Joffroy of Chile crashes during the freestyle skiing women's ski cross quarterfinals at Rosa Khutor Extreme Park on Friday. Joffroy was carried away on a stretcher by medical staff but remained conscious and in good spirits as she left with a wave to the crowd. The dangers of the ski cross course also resulted in Anna Woerner of Germany crashing and being taken away by stretcher.